Professor M.S. Rao, Ph.D. is the Father of “Soft Leadership” and Founder of MSR Leadership Consultants, India. 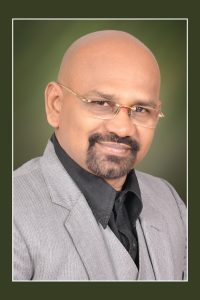 He is an International Leadership Guru with 38 years of experience and the author of over 45 books including the award-winning ‘21 Success Sutras for CEOs’ URL: http://www.amazon.com/21-Success-Sutras-Ceos-Rao/dp/162865290X. He is a C-Suite advisor and a sought-after keynote speaker globally. He brings a strategic eye and long-range vision given his multifaceted professional experience including military, teaching, training, research, consultancy, and philosophy. He is passionate about serving and making a difference in the lives of others. He trains a new generation of leaders through leadership education and publications. His vision is to build one million students as global leaders by 2030 URL: http://professormsraovision2030.blogspot.in/2014/12/professor-m-s-raos-vision-2030-one_31.html. He advocates gender equality globally (#HeForShe). He was honored as an upcoming International Leadership Guru by Global Gurus URL: https://globalgurus.org/upcoming-leadership-gurus/. He serves as an Advisor and Judge for several prestigious international organizations including Global Leadership Awards in Malaysia and Middle East Business Leaders Summits & Awards in Dubai. He coined an innovative teaching tool―Meka’s Method; leadership training tool―11E Leadership Grid; and leadership learning tool―Soft Leadership Grid. He invests his time in authoring books and blogging on executive education, learning and leadership. Most of his work is available free of charge on his four blogs including http://professormsraovision2030.blogspot.com. He is a prolific author and a dynamic, energetic and inspirational leadership speaker. He can be reached at msrlctrg@gmail.com. It is my passion for teaching, training, research, and consultancy that inspires me to write books. I create an outline of chapters before I author a book. After I start authoring the book, I modify the outline based on the chapters I have written. I am not a fiction writer. I author books on self-help, learning, leadership, and executive education. Be passionate, patient, and persistent. I adopt the traditional method of publishing. I author a book and then approach the publishers to publish it.